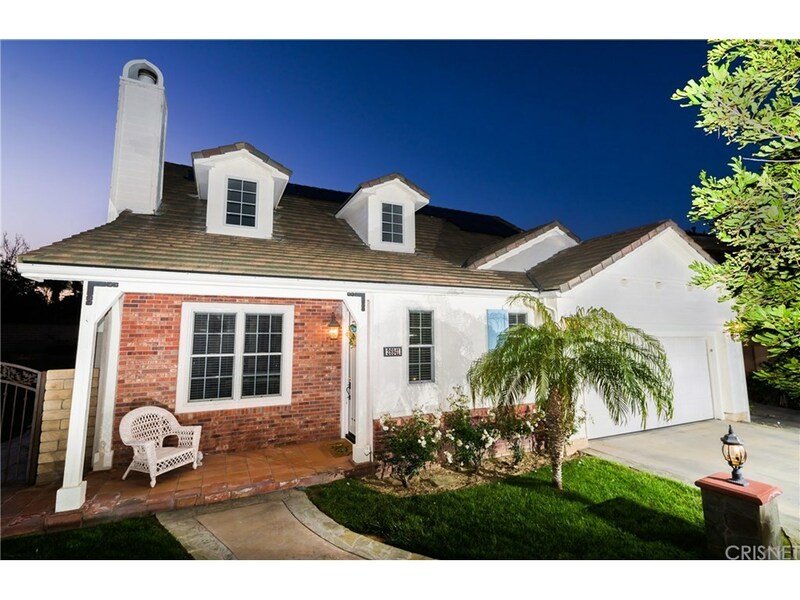 Gorgeous Westridge Valencia Bent Canyon home with extra large pie-shaped lot at the end of the cul-de-sac! Lives like a single story with the main master down and one up. Sharp adult occupied home with wood floors, upgraded carpet, built-ins, tasteful blinds and sharp paint. Tile in baths & laundry. Bedrooms are oversized with large walk-in closets. Terrific yard with plenty of grass, BBQ cook station, patio cover & soothing fountain/pond that is awesome. Primo owned solar system that actually paid the seller last year, so no electric bills. Life source water filtering system also owned. 3 car tandem garage with tons of storage. Great location in Valencia's top rated Westridge neighborhood.